Having played the Blood Bowl 1, this is not one for RNG haters but I enjoyed it all the same. 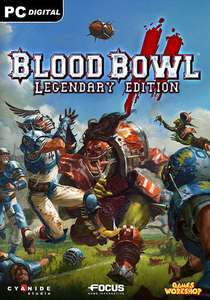 Buy Blood Bowl 2: Legendary Edition as a Steam Key. Why so cold? Anyone found it anywhere cheaper? Sort of game I get when under a tenner! You don't get the expac and all teams with the base version. Buying that,the expac and team pack is more expensive by far.